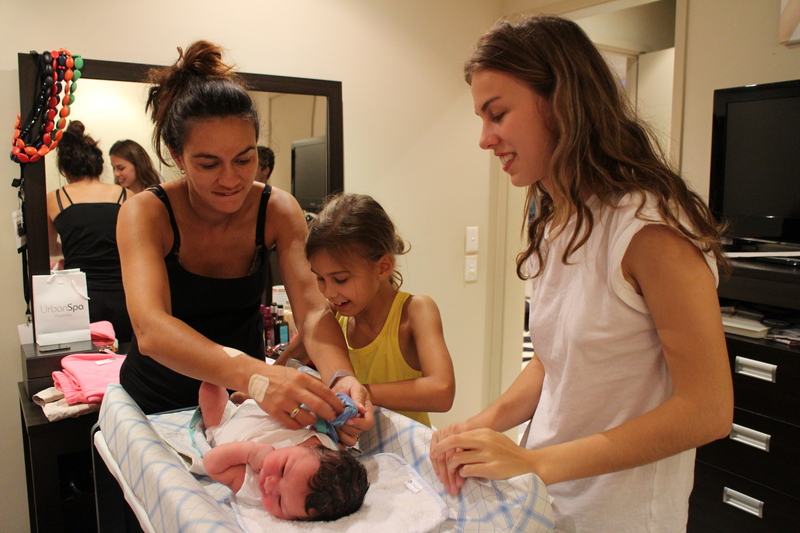 And Grandbaby number two for 2014 arrives! I am always amazed at pregnancies and birth. It is such a miraclulous event! I always think of Psalm 139:1-16 when I hear of a new pregnancy. Have a look in the Bible at this scripture and see what you think? Now I have just had the most amazing 20 days in Sydney! 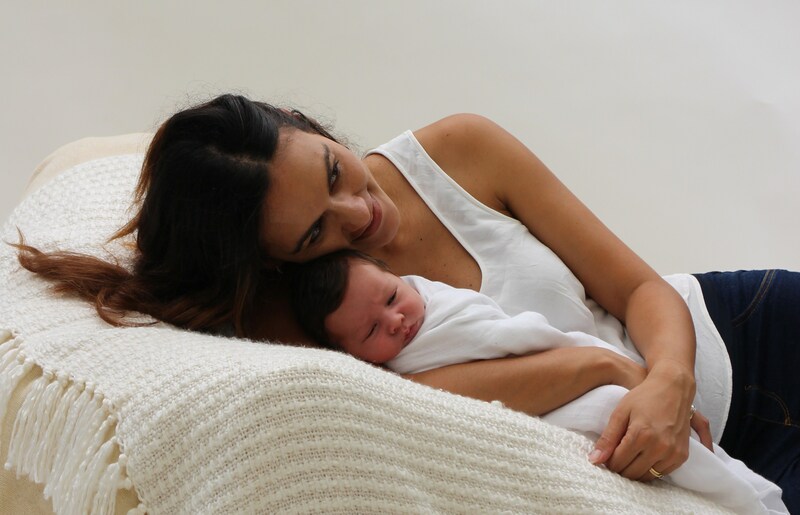 I arrived on the 10th of March and left again on the 30th, and in that time I became a Nana again to grandchild number 6. 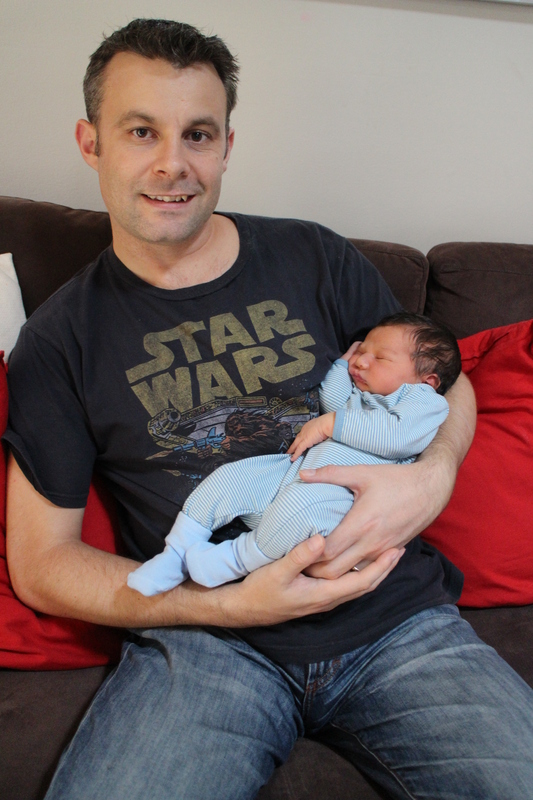 Master G6 arrived at 3:50 am on the 18th of March, weighing in at 8lb 11 oz, and with a thick crop of black hair! D1 is so tiny…and look how big her tummy is. 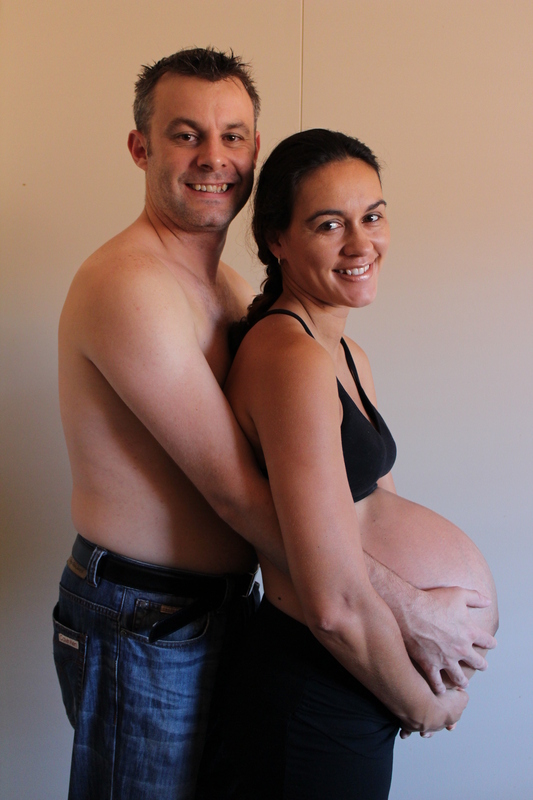 This photo was taken only a few days before the birth. 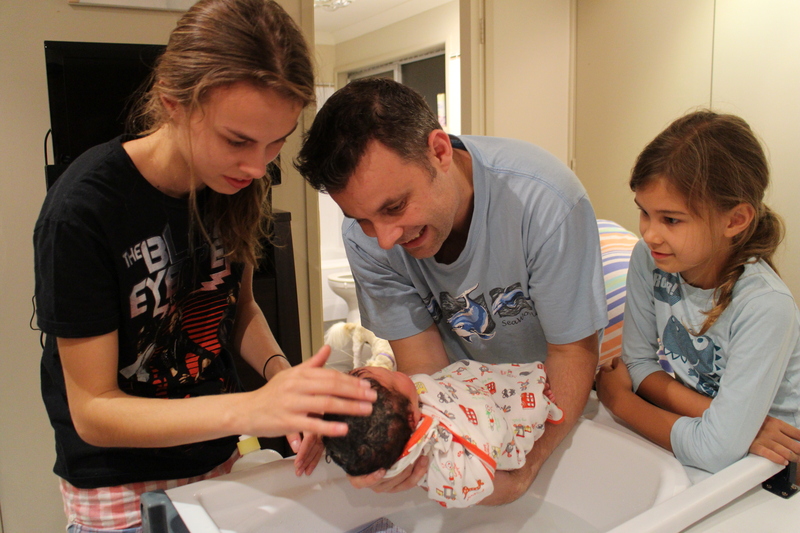 We thought he was going to be born on the 16th…so we were prepared! And we took another photo of the 17th Just in case! But we didn’t think D1 would last until the 18th….so we didn’t take a photo with the number 18! This one will have to do! 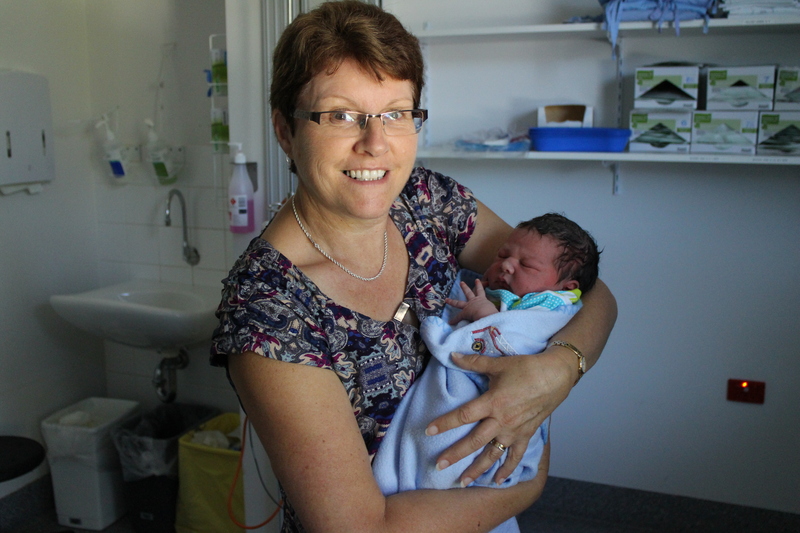 And the first photo of G6 with his Nana Pam….me!!!! 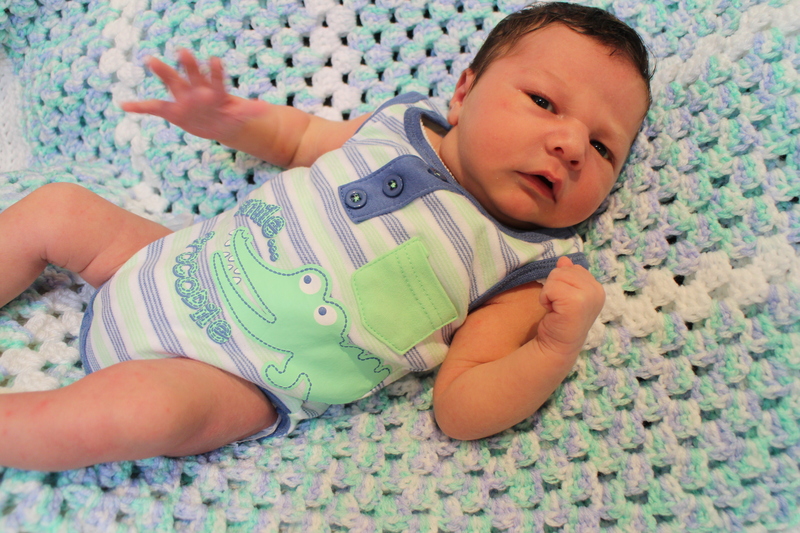 And from that first day of G6’s life after his birth…we managed to take heaps of photos. C1 reckons there are already more photos of G6 than he has of himself in his whole life… haha. 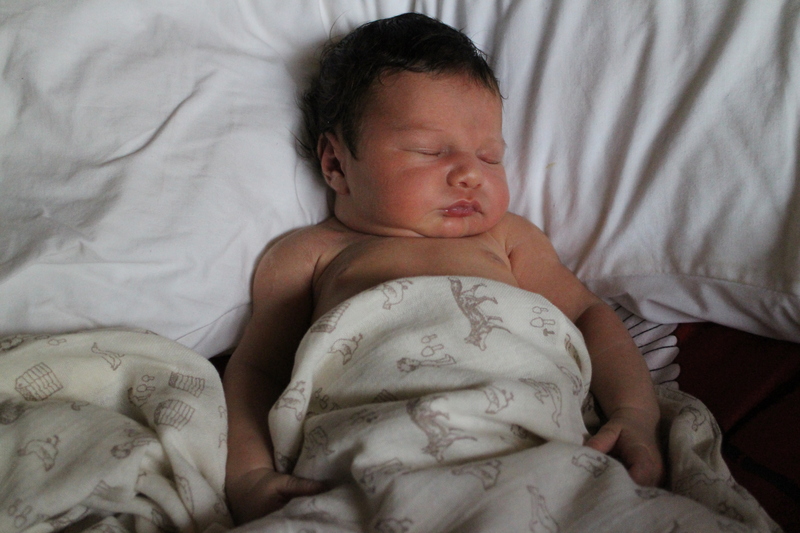 But really, how can you not take so many photos of a very cute baby. And….such a good baby as well. The first time I hung out G6’s clothes….such an emotional moment for me. I even made sure the pegs were all blue! 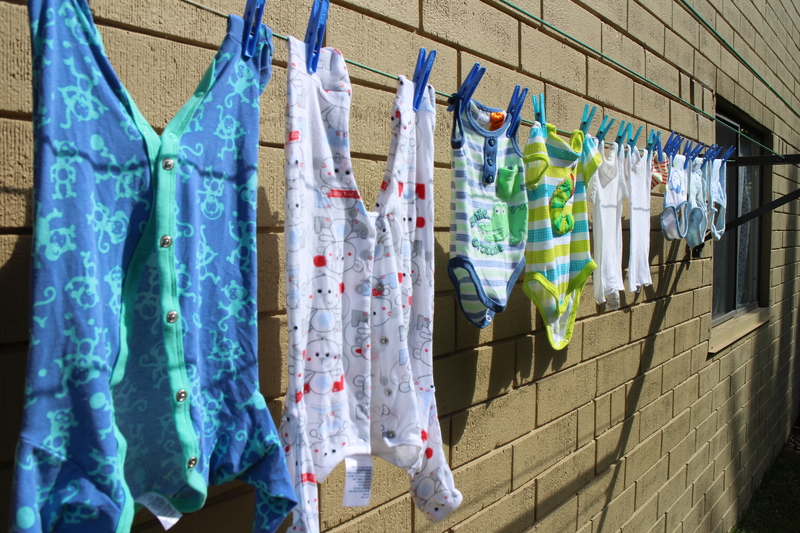 Doesn’t that clothes line just melt your heart! 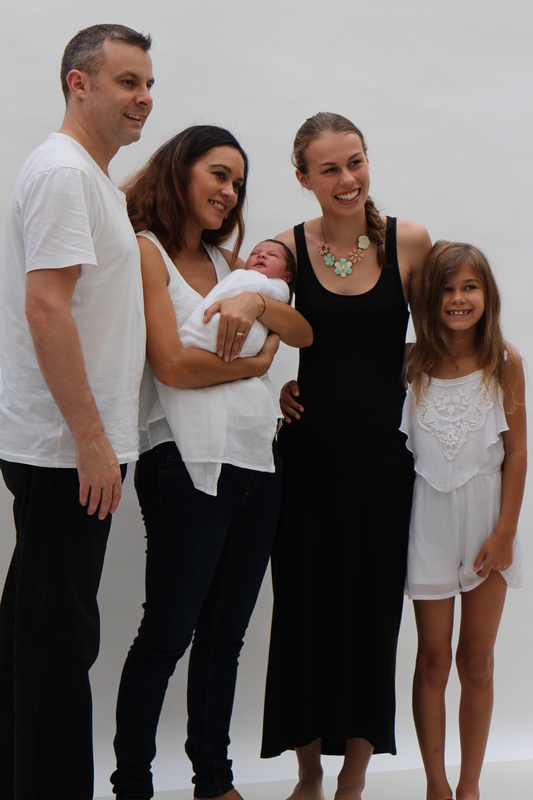 And on the last full day of my holiday we went to get some family portraits taken. The photographer allowed me to take some photos from beside her. I imagine her photos are going to be spectacular, because even though my backgrounds aren’t perfect, the photos are amazing! I love them all! A special moment between mother and son. 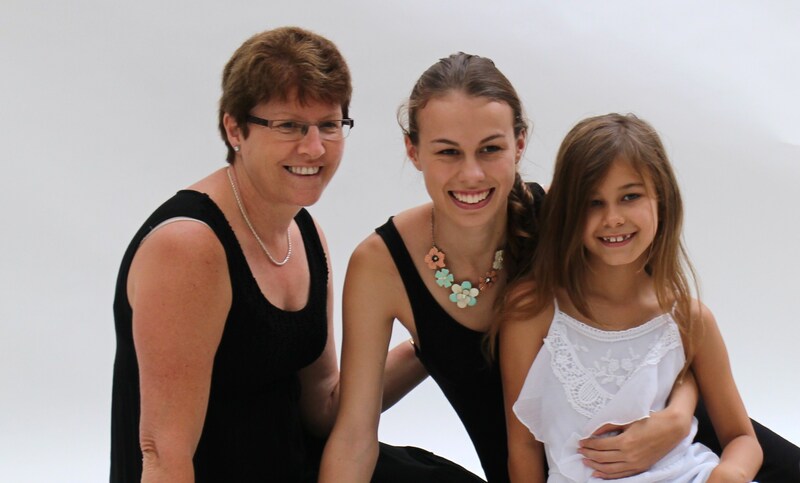 Grand daughters G1 and G3 with me….Nana Pam. The photographer also took a photo with Luke as well, but I have to wait to see that one! 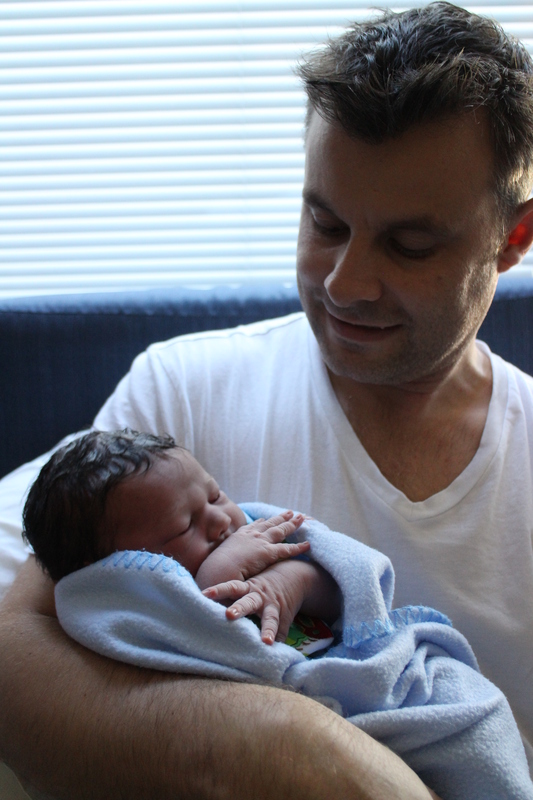 Yes…One very happy Daddy to have a son after two beautiful daughters. His family is complete…or is it??? Wonderful post and what a wonderful Nana. A great wee story for all to read and share. You are just the most proudest nana. Lovely family photos as well.